I had the longest weekend at work. It was actually terrible. I am so relieved I have a couple of days off to rejuvenate and relax because I just get the worst anxiety from dealing with people all day and being on my feet for around twelve hours. Anyways, aside from my complaining, here is one of the outfits I shot with my friend Tyler a few days ago. I saw a outfit similar to this one in a magazine and loved it. 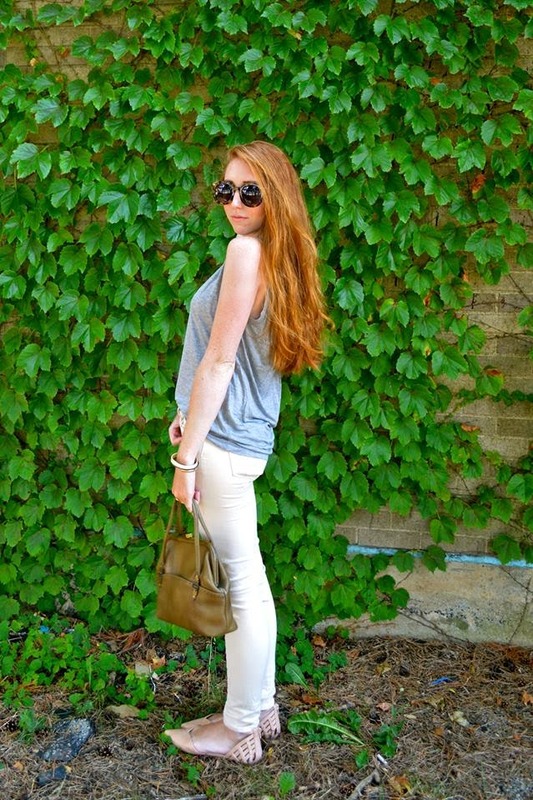 I love the look of the off white jeans with a simple gray muscle tee. Let me know what you think! Loved this look! How would you style casual neutrals? And be sure to check out Tyler's photography page by clicking HERE! He is super talented so definitely check out his photos!